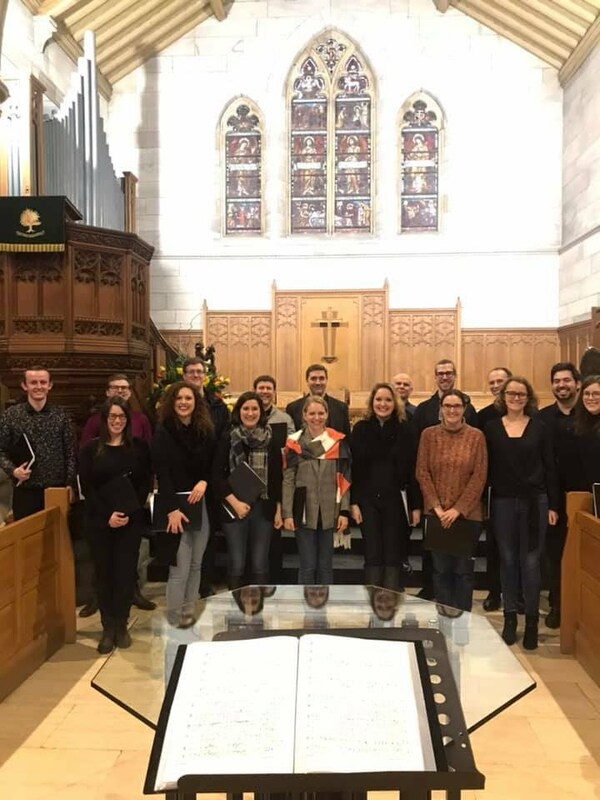 On Saturday 15 June 2019 at 7:30pm we will be performing the exquisite Motets of Bruckner! Encompassing nearly the whole of his mature compositional career the Bruckner Motets reflect clearly the melding of a polyphonic technique, derived from the Renaissance masters, with his own urgent chromaticism. Bruckner’s music for the Roman Catholic liturgy is amongst the finest of the last 150 years and is entirely consistent with the chronology of the St Patrick's building (indeed in the year of Bruckner's death,1898, the magnificent sanctuary of the church was remodelled and a new high altar was installed). The music will sound glorious whether with the choir alone or with the blaze of trombone / organ accompaniment. The Two Motets Op 74 of Brahms were published in 1878 with a dedication to the great Bach scholar, Philipp Spitta. This is no doubt an acknowledgement of the fact that the great German master’s influence is at its most potent in these particular pieces. Regarded as his largest and most powerful unaccompanied choral work they are well worth hearing. The Three Motets (Op 110 ) were composed by 1889 and published the following year, the first performance being on 13 March 1890 in Cologne. While the earlier motets had distinctly Bach-like characteristics, these pieces look back to seventeenth-century masters such as Giovanni Gabrieli and Heinrich Schütz. Watch this space for further details of our programmes for our special anniversary year! If you would like to be kept up to date with our concert news and what we are up to do please sign up to our mailing list. "This was an absolutely outstanding recital, which held the audience spellbound throughout. We began with the ‘Cantique de Jean Racine’, which was faultlessly legato, and as silky as it was expressive in its enchanting performance. St Patrick’s seemed to be the ideal venue for the occasion, the candlelit church providing such stillness and beauty for the music performed. That most of the audience were therefore unable to entirely see the performers’ faces meant that our attention was solely focused on the music and the atmosphere; the only thing in the church picked out especially by lighting was the scene of the crucifixion above the high altar, which was especially fitting for the Requiem. Otherwise the flickering of the candles at the votive stands and around the perimeter enfolded us entirely and rightly within the music itself. The Requiem, the substantive part of the recital, was exquisitely executed under the direction of Vincent Wallace. This was the more authentic early version, in an edition by John Rutter. Although the St Andrew Camerata have performed this work on many occasions before, there was a freshness and vibrancy about it, that was altogether captivating. It is very difficult to pick out any part of the Requiem as deserving of more praise than the other, but few will have heard the Pie Jesu and In Paradisum sections performed to such a high quality before. Also of particular note was how well balanced the ensemble was throughout; all parts – instrumental and vocal – were entirely complementary of one another, both at moments of depth and richness, and also at times of delicacy and intricacy. The encore for the evening was ‘L’Hymne a la nuit’ by Jean-Philippe Rameau. Sung unaccompanied, this is usually a quiet piece, but sung with such exceptional softness on this occasion; indeed, you could have heard a pin drop in the audience! The only disappointing about this performance … was that it had to end – the performance finished at 11.00pm." "Faure's Requiem, composed in the late 1880s, is a short piece lasting 35 minutes, performed in Latin, and created for orchestra, organ, male and female chorus and two soloists, soprano and baritone. Tonight’s concert is one of the mainstays of the Fringe and has been captivating audiences for years - this year followed by Cantique de Jean Racine, one of Fauré’s earlier works. Impressively, the many singers and instruments (including a harp and the church's own organ) all came through clearly, with nothing swamping anything else. Having been leading his St Andrew Camerata through performances of Fauré's Requiem - intermittently - since 2006, it comes as no great surprise to see how confidently Vincent Wallace helms this performance. It is also good to see that time and repetition has not diminished his enthusiasm for the piece, nor for performing it: he leads con brio, expressing the music's ebbs and flows in his facial expressions and very mobile body language. This in turn galvanises the many singers and the small ensemble of nine musicians, all of whom served to make this a delightful evening. The church's acoustics also help this, gelling the voices and instruments so that they sound appropriately divine. Special mention should go to the soprano, whose rendition of the aria Pie Jesu was goose-pimply good. The church's interior is charming, set off - on this night - by a host of candles, of varying sizes, all flickering gently along to the music. While the "stage" lights somewhat diminished this effect, it was certainly an evocative (and non-gimmicky) addition to the music's own charms. Impressively, the many singers and instruments (including a harp and the church's own organ) all came through clearly, with nothing swamping anything else. I'd guess this to be - again - a consideration of Wallace's; if so, kudos to him for managing to ensure such a harmonious and dynamically satisfying performance and, of course, to the singers and musicians, for aiding in this endeavour. It's a pleasure to hear instruments and voices totally acoustically, especially in such acoustically satisfying surroundings. Add to this the choice of music and the "by candlelight" staging and you can easily see why this has been such a consistently successful concert, both in terms of content and size of audience."